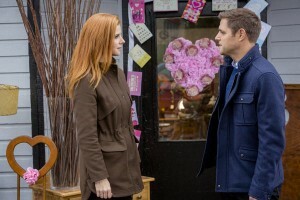 The ladies of Suits Hallmark Channel takeover continues Sunday night with Sarah Rafferty‘s network debut in All Things Valentine. Another entry in the recent MOW trend of newspaper writers tasked with a life-changing assignment, Rafferty plays Avery, an anonymous advice columnist who’s been repeatedly spurned on Valentine’s Day and is decidedly not a fan. That changes when her advice to an unhappy girlfriend dovetails into a decision by her editor (Gourmet Detective‘s Brenda Crichlow) to elevate her column for the holiday, and she unwittingly befriends her reader’s now ex-boyfriend, a vet named Brendan (Switched at Birth/House of Cards‘ Sam Page) who shares her reticence to stack all things romance onto one day a year. It’s as complicated as it sounds, and rendered moreso when Brendan challenges the column as a disgruntled reader because he blames Avery for his breakup. Of course, nowhere in there does Avery actually tell Brendan it’s her column/what she does for a living, so they get to know very different versions of each other off the page while they revile each other in the comments section of the column’s website. 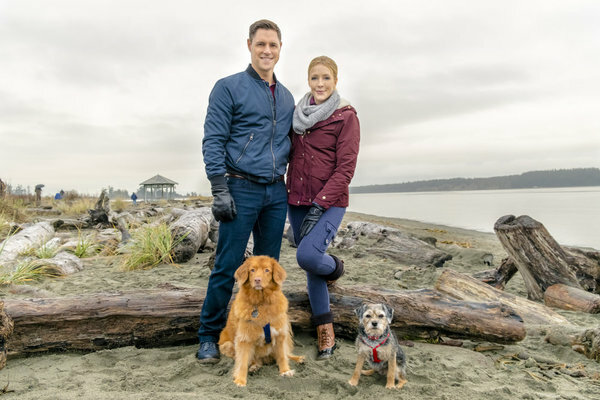 As Avery starts to soften her stance on the day of hearts because of her new relationship with Brendan, her column changes, too, but everything is upended when identities are revealed. Devastated again, she pulls herself together when she recognizes that her life is quite full of love, even if it’s not the romantic variety. 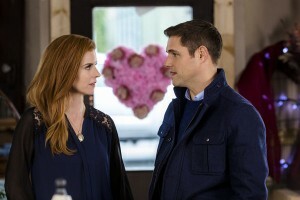 It’s great to see Rafferty play someone who’s not as in control as Donna on Suits. She’s very good conveying Avery’s lingering sadness about Valentine’s Days past and fear about those to come. I liked Page, too. We get to see Brendan struggle with his own self-examination that he’s been a bit of an asshat as his alter ego, and it hits him doubly hard when he and Avery learn the truth. The cast also includes Jeremy Guilbaut (The L.A. Complex) as Brendan’s fellow vet and BFF, Kit, The Nine Lives of Christmas‘s Kimberly Sustad as Brendan’s ex, McKenna, and Hilary Jardine (Proof) as Pru, McKenna’s BFF who Kit is not-so-secretly nuts about. When Calls the Heart‘s Daryl Shuttleworth plays Avery’s dad and Once Upon a Time‘s Beverley Elliott plays her mom. 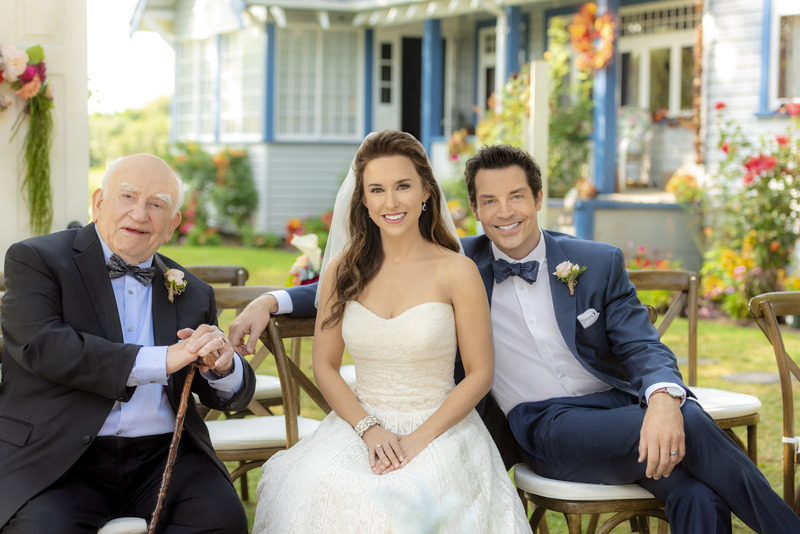 Heather Doerksen (Fringe/BSG) plays her sister, Cedar Cove’s Mike Dopud is her brother-in-law, and Anthony Bolognese (A Gift-Wrapped Christmas) is super-cute and articulate as her young nephew. We’re two for two on full families this weekend. Gary Harvey (Cedar Cove) directs a script by J.B. White (A Ring By Spring and my Three Weeks, Three Kids). All Things Valentine premieres Sunday at 9/8c and repeats through Valentine’s Day weekend.